The Land and Space Positioning Department (DPTS) is responsible for teaching geodesy, geophysics, topometry, metrology and mathematics. The DPTS take part in the courses given to the different cycles of the ENSG: higher technician cycle, engineer, professional license as well as third cycle : specialized master’s degree Photogrammetry Positioning and Deformation Measurements (PPMD), master 2 IGAST, master 2 Carthagéo. DPTS teachers also contribute to training courses offered at other higher education institutions (École Polytechnique, École des Ponts ParisTech, ESTP, Mendès France University in Grenoble ...). The research activities of the DPTS are mainly done in collaboration with the laboratories of the IGN but also with French partners (CNRS, IPGP, Geosciences Department of ENS Ulm ...) or foreign (GSI, University of Tokyo). DPTS teacher-researchers participate in various national working groups: CNIG GEOPOS, CNFGG, AFT etc. or international IGS (International GNSS Service) and AIG (International Association of Geodesy). 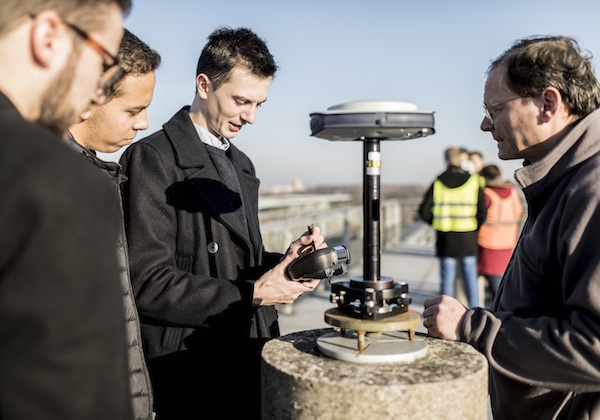 The DPTS provides courses in geodesy, spatial geodesy, geophysics, topometry, metrology and mathematics. The practical component of the DPTS teachings is very important. The geodesic and topometry courses represent about 70% of the field courses, mainly in the center of Forcalquier.